Have you ever wondered what it would be like to weekend next to a vineyard?! 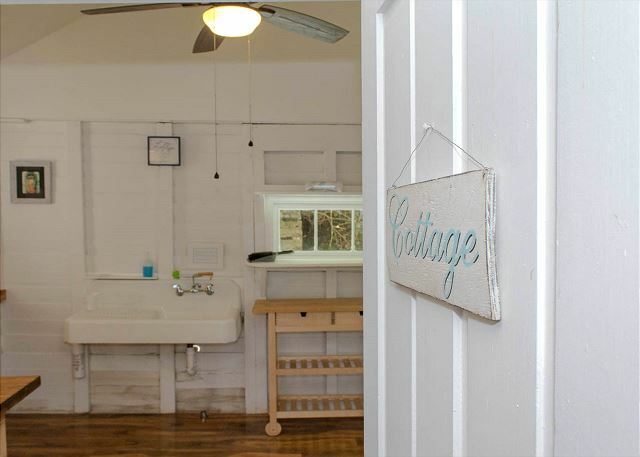 Treat yourself to a stay at Lolly's Cottage, and allow yourself to be consumed by nature in all forms. Located on a quiet dead end road, you'll travel through Caywood Vineyards and roads mimicking those of the Finger Lakes National Forest. Whether you're coming in the summer with vines and trees alike covered in shades of green, or you're visiting in the fall boasting warm autumn shades from all angles, this cozy cottage will remind you of a trip back in time. This is the ultimate glamping experience. Park your car and leave all your worldly connections behind for a few days. 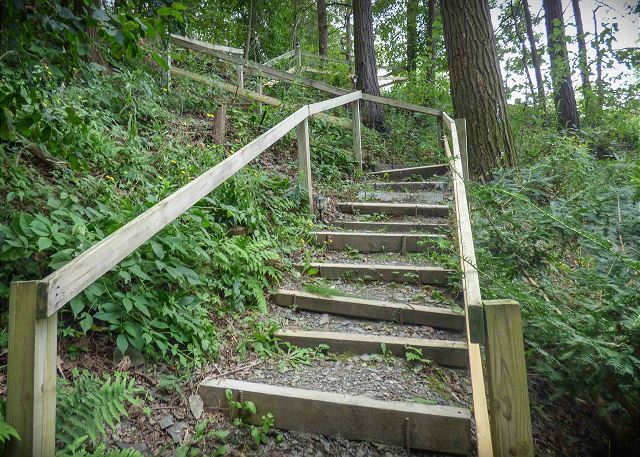 Walk down the man made stair path until you see Lolly's Cottage in view. Rustically charming and vintage this will become a welcomed quiet retreat from busy everyday life. For the nature lover, trees surround the cottage and offer immense privacy. Keep your eye out for birds such as eagles, herons, ducks and more! Friendly squirrels and chipmunks may also pop in and out to say "hi!" 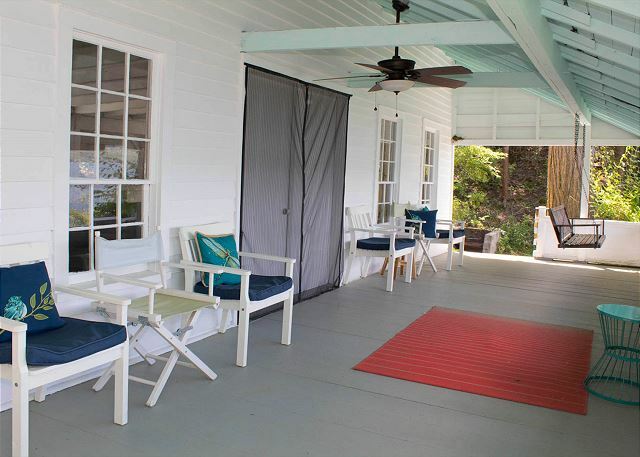 Inside, the original structure of the home is finished with modern amenities. 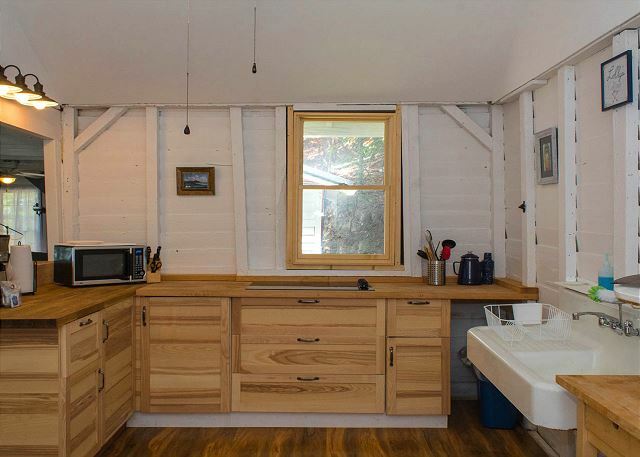 The kitchen offers a beautifully built breakfast bar, stove top and farmhouse style sink. A grill located just outside the kitchen door is yours to use as well! All efforts to maintain the original craftsmanship of this home have been made. 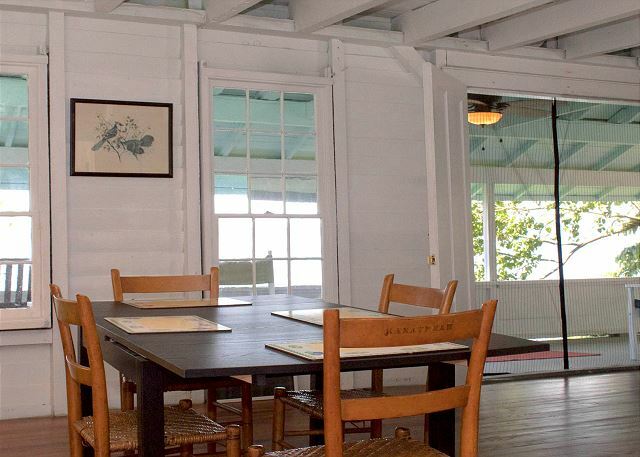 An open living and dining area boast the original windows, wood walls and flooring. 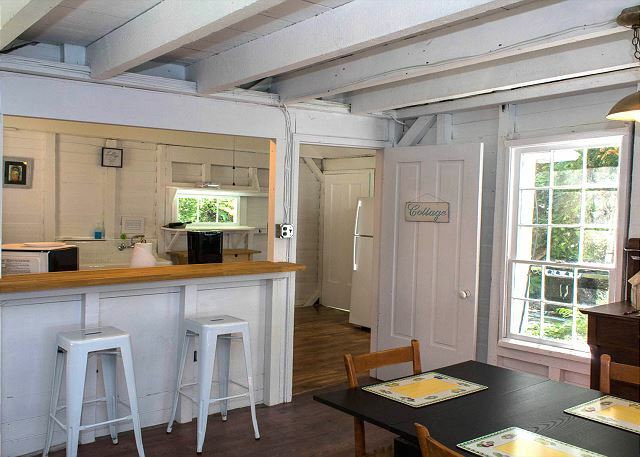 The walls have been white washed to provide a crisp feel to this vintage cottage. 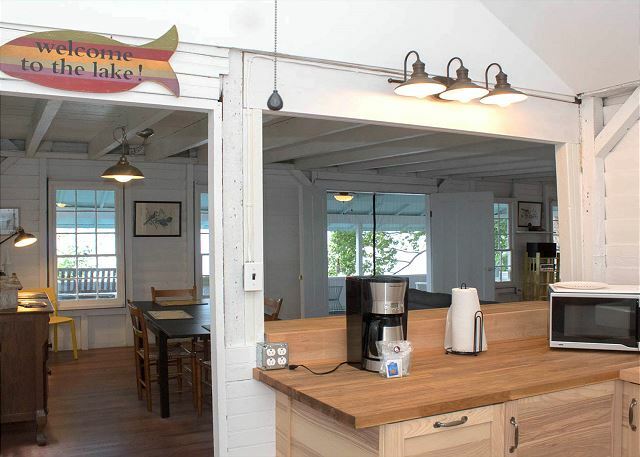 Original French doors with old fashioned wood latch lock leads to the lakeside deck. 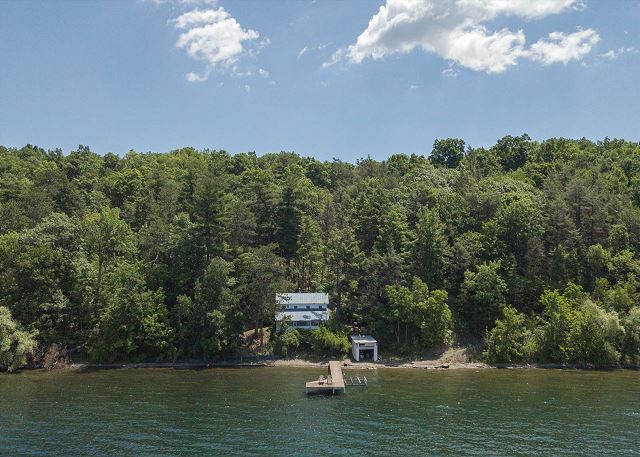 Whether you're enjoying a cup of coffee in the morning, or watching the sun set at night, this charming space is filled with the sounds of nature around you and a beautiful view of Seneca Lake. Completing the main level of Lolly's Cottage, a bathroom with claw foot tub and newly added shower head offer a full bath for your group. 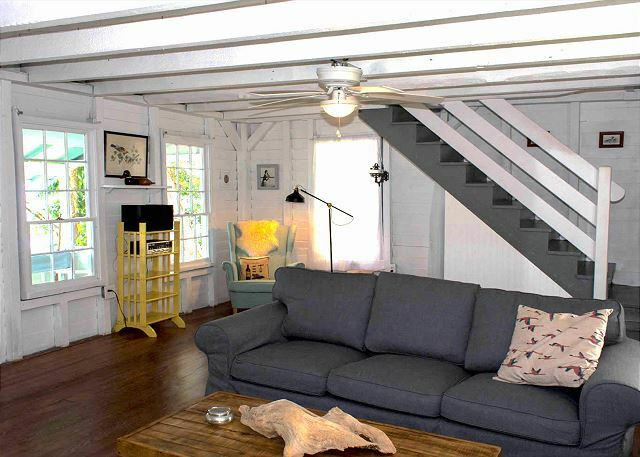 Traveling upstairs, the original wood stairs have been painted a cool shade of grey to blend the main floor and upper level sleeping area. The bedrooms were kept in their original form and are what is considered a "transitional bedroom" with no attached ceiling. Private walls surround each bedroom, offering a loft like, open feel with ceiling fans shared between the three rooms. 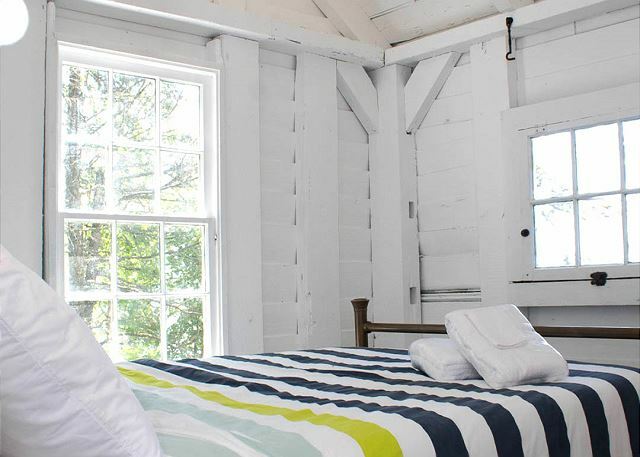 Each bedroom offers a stunning view of Seneca Lake through the original tilt windows. 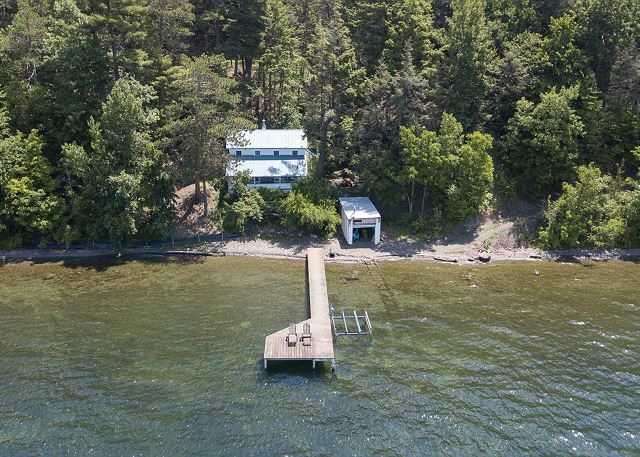 The lakefront offers a spectacular 114' of natural Finger Lakes waterfront and three acres of the Finger Lakes National Forest to the south. 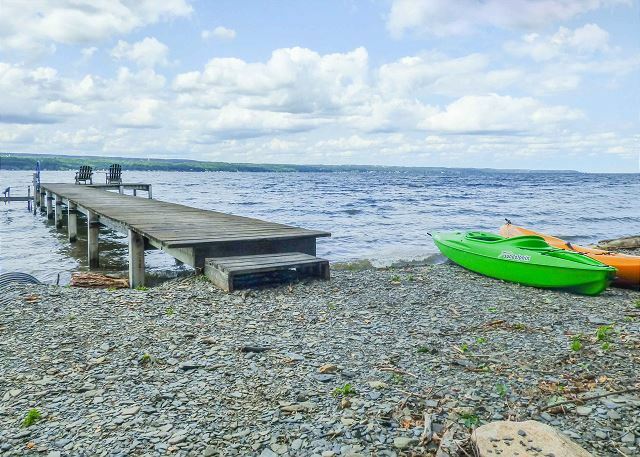 Spend the day kayaking the shores of Seneca Lake, sunbathing on the large permanent dock, walking through the forest or nature watching. 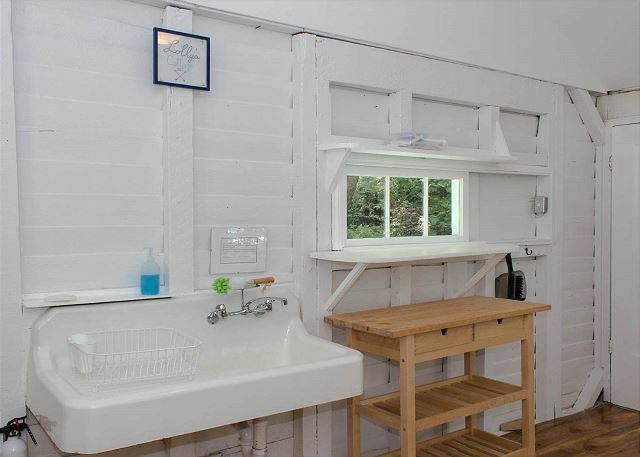 Peaceful, tranquil and nature friendly; Lolly's Cottage has everything you need to escape. Fires - To help protect the forest, we ask that no fires are made near the home, on the beach, or in the charcoal pit. Available for a 3 night minimum stay during peak season. 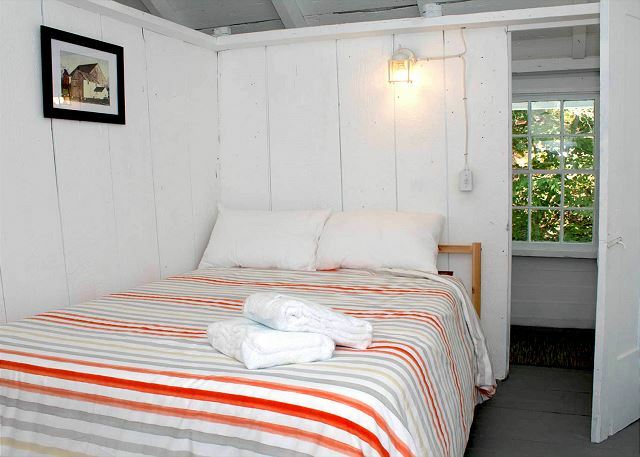 Book your vacation today at Lolly's Cottage! 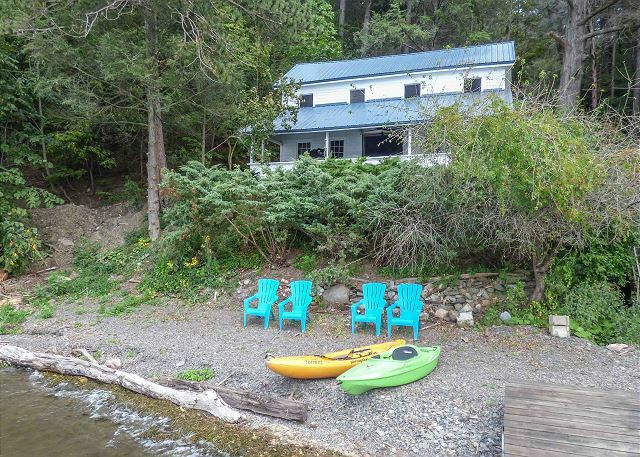 Special offers can only be redeemed for new reservations by booking directly with Finger Lakes Premier Properties.